Our aim is to deliver efficient and integrated corporate support services that enable business across the DBS divide to operate effectively when recruiting personnel into positions of trust working with Children and/or Vulnerable Adults. No set-up costs, No limit on numbers, No annual retainer charges and No registration costs. A Basic Disclosure is available to Anyone in the UK for any purpose - e.g. Where a person’s job is working in a position of trust, or working in premises unsupervised, or required to work within the Aviation Security sector (Airside), for a personal licence, for a Visa Applications or in any position where it is required by an employer to obtain a criminal record history. List 99 (Barred List)- Within One hour of your request with details and payment having been confirmed. Self employed or individuals can NOT do a Standard or Enhanced DBS check on themselves, however, an individual or self employed person can arrange for their Basic Disclosure Check to be carried out by clicking on www.disclosuresonline.co.uk. 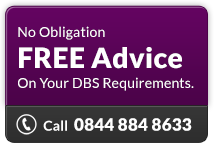 Call 0844 884 8633 or click here to Contact HRBC and tell us a little about your DBS requirements. Please NOTE: Individuals can NOT carry out a check at Enhanced or Standard level on themselves or on anyone else, please go to www.disclosuresonline.co.uk for advice and guidance for a Basic Disclosure (Basic CRB). HRBCis an online police check service for the whole of the United Kingdom bringingthe Disclosure and Barring Services to all our valued clients via our Totally Paperless Disclosure Service. We are aware that clients may call for our services using any of the following names; Disclosures, CRB checks, c r b, Check Criminal Records, List99, disclosure, crb check, criminal check, police check, check criminal record, Enhanced crb checks, Enhanced crb disclosure, all of which we understand, we can meet your requirement and we can assist.